Way back in January, I had been booked on a rather exciting assignment. The company that usually pimps me out to commercial directors -- in order to help them write treatments and presentations that they send to advertising agencies -- hooked me up with a gig writing for world-renowned photographer Steven Klein. 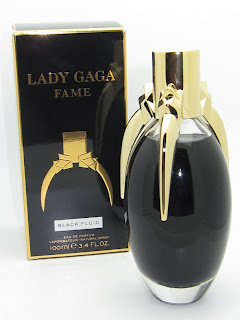 Apparently he had been in talks with Lady Gaga's Haus Laboratories in Paris to help direct and produce a short film announcing her new fragrance, Fame, "the first ever black eau de parfum." Having already come up with an initial concept that would make this stand out from other perfume campaigns, Steven needed to flesh out his ideas and translate them into a coherent narrative. That's where I came in (sadly, there were no creative meetings directly with Mother Monster herself). And now, after nine long months of secrecy, I can finally say that I am proud to have been a (tiny, little) part of this visually stunning (and hella abstract) project. Needless to say, this is going in my portfolio.